Oh interesting! It seems as though Goyaale/Geronimo’s descendants are suing for the return of his bones which are supposedly held by the Skull and Bones secret society at Yale. Apparently a Bush was even one of the diggers up. In reading this article (and not the lawsuit) I noticed two things. First Yale mentions that the Skull and Bones vault is not on their property. The obvious reason for this is that it indicates that they deny having any reason to be in this lawsuit. It also seems to be a NAGPRA inspired statement. If a Native American skull was being held on their property they would have been required to report it years ago under NAGPRA and possibly return it to the descendant community years ago as well. Yale receives some level of public funding thus they are not immune to NAGPRA thus this skull better not be at Yale proper or else they are in non compliance with a federal law. It seems that the descendants of Goyaale/Geronimo are with it, however, and do not seem to be claiming him under NAGPRA. Rather they are the actual direct descendants: a family saying grandpa’s grave was robbed and his body illegally taken with the Native American stuff mixed in just for flavor. 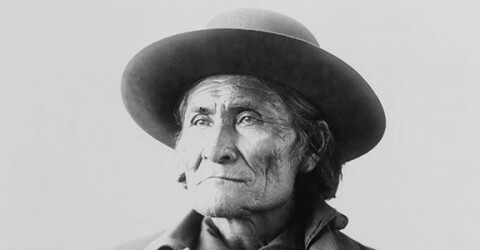 If the bones are not Goyaale/Geronimo, but another Apache, the Geronimo family indicates that they want them returned as well but that would probably require a switch in legal tactic.In a way it seems like they have left all doors open. I truly doubt they will ever get these bones back. I mean come on, the Skull and Bones people almost certainly have something Native American down there and they can just go hide it all before any search. These fellas are not the sympathetic sort (and I can pretty much assert that they all huge jerks and many other negative things). It is just an interesting way to go about it, to reach just a little beyond NAGPRA.